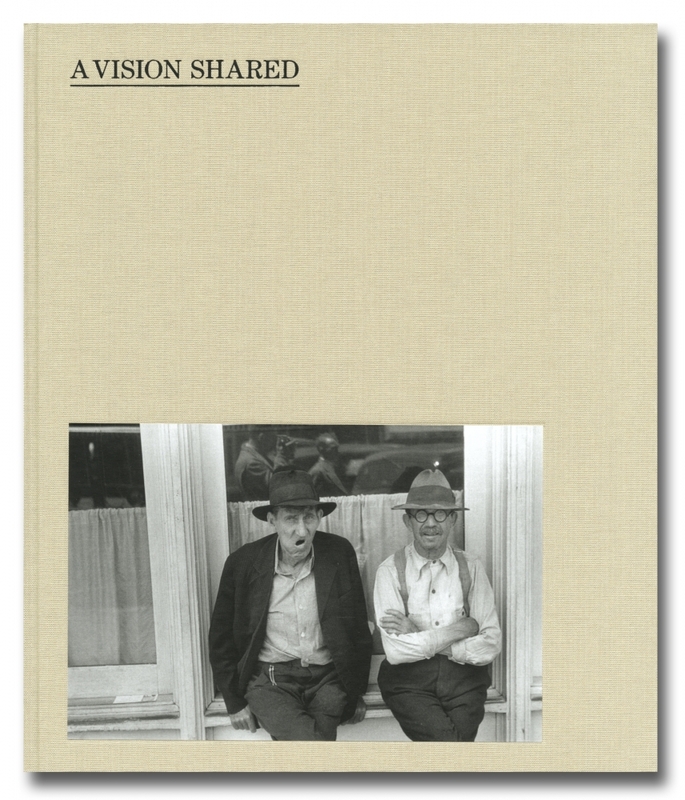 Hank O’Neal’s two most recent books, Preserving Lives (TCU Press) and the 40th Anniversary reissue of his 1976 classic, A Vision Shared (Steidl), were published within five days of one another in June 2018. Outwardly they seem to be very different but in fact the overall themes of each are very similar. Preserving Lives tells the story of two ordinary Americans of humble origin, Harold O’Neal (born 1910) and Sarah Christian (born 1914) and their lives in rural and small town East Texas. In 1933 they were swept up by the opportunities afforded by The New Deal, worked hard with the CCC, fought hard during World War II, studied hard after the war and twenty years later, in 1953, achieved what people now call The American Dream. The book is filled with unique photographs found in Harold and Sarah’s scrapbooks from the 1920s, 30s, 40s and early 50s. The 572 photographs and illustrations that make up the book were taken or saved by Harold, Sarah or family members. A Vision Shared tells the story of the photographers of the Resettlement and Farm Security Administrations, the finest group of photographic artists assembled in the Twentieth Century. This photographic project was also a product of The New Deal and primarily dealt with rural and small town America. These photographers created a visual record of thousands of ordinary Americans who were struggling in the depths of the Great Depression, who also had the same dreams as Harold and Sarah in East Texas. The great artists that were part of this program, including Walker Evans, Dorothea Lange, Russell Lee and Ben Shahn, hoped their photographs would inspire legislation that would enable some of these many disadvantaged Americans to also achieve their dreams and in doing so created an unparalleled photographic legacy. In the 1930s there were reactionary forces that hated all the New Deal programs and fought against them in every way they could, just as there are reactionary forces in 2018 that still hate the social programs that emerged during those years. The America First movement and other isolationists of the 1930s and early 1940s did everything they could to prevent the entry of the United States into World War II. Their ideological descendants, who now say they want to Make America Great Again, are still with us, and not only want to stop the clock, but to turn it back to yesterday. They will not succeed. Both of these books chronicle those times and illustrate the good that can come to two ordinary people, and millions of others, when enlightened leaders move beyond their own self-interests and create programs that genuinely benefit their constituents.